Elijah had a lot of voices in his life clamoring for attention, but the most important was the quietest of all. These are the voices of maturity and experience. They give advice with the end game in mind. My best advice in this area is to pick a mentor that you want to be like. These are the loudest voices of all. They demand that you listen and fall in line with everyone else. These voices have a definite agenda, and it’s not a godly one. But as Christians, we are a new creation and are called to pursue holiness- we are called to throw off the bondages of sin. He tries to peck at your soul, find your weaknesses, make you feel worthless, afraid, and lonely. Get to know God’s voice. Get to know what God says about you. Stop focusing on what others think of you and focus on what God thinks of you. You are not alone. God made you for a purpose, and YOU CAN CHANGE THE WORLD. You have the potential to make a difference in your friends, your community, your world. 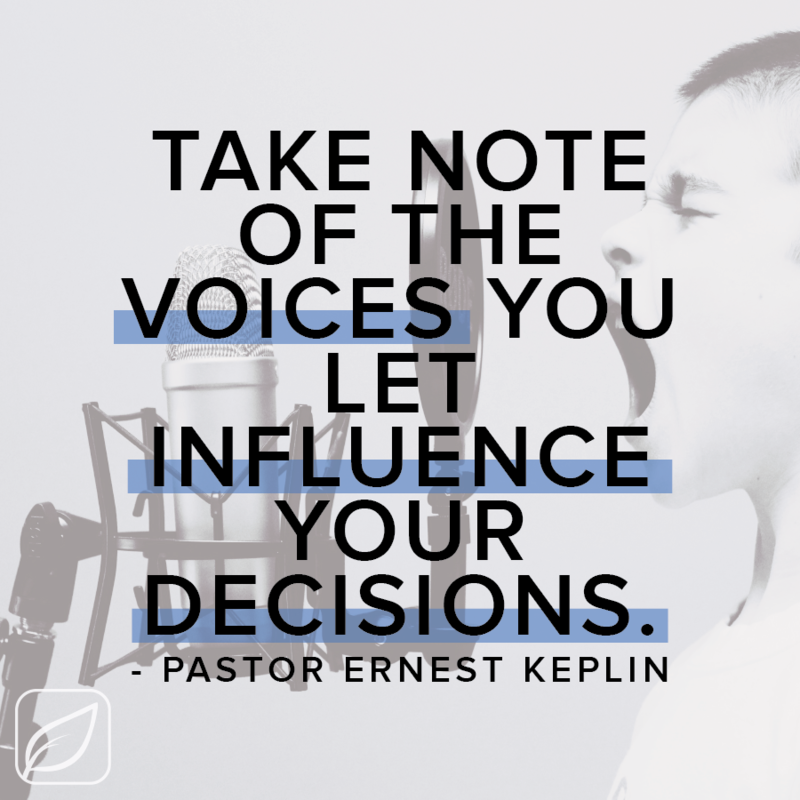 Here’s my Challenge to you- Take note of the voices you let influence your decisions. Pray, and encourage someone this week. Be an encouraging voice in someone’s life.